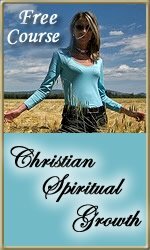 I am a 54 year old Christian women, I have been struggling with Satan for most of my life. I want to be the best I can be in my Christian life. But, I have some habits to be rid of, I can't do it alone, I would like to know Bible verses that will help me get Gods, strength to achieve the ultimate goal. I recently had a stroke that took most of my eye sight, I was told, that I would not regain my sight, but, they would try to keep what little sight I had, which was only about 10 percent.I had people praying for me as I went through treatments for around a year, I have 90 percent eye sight now. I want to show God, I appreciate what all he has done for me by improving my walk with him,and be the best that I can be. I would like to learn about fasting, and learn Bible verses, that will help me gain strength through God. To achieve my ultimate Goal So I could serve God better, and die knowing I was the Best Christian that I could be. Reading your story brought a smile to my face. I would like to direct you to Isaiah 58 for it completely talks about how by fasting you can come closer to God. And it is the heart to keep Satan and all his demons away from you. By fasting we become like the angels because we are trying to be cleansed from our sins. Every time we fast the Lord will cleanse something on us. Next I would like to direct you to Isaiah 59. Because that talks about how much important confession is to clear our sins. When we confess the Lord takes all of our sins away and Satan will no longer have access for it to tempt us by our old memories and sinful life. Also, please keep in mind reading the bible 20 to 30 minutes a day is a true communication with God.